INFINITI sponsors the Boston Marathon for the second year in a row, and as part of this multi-year partnership, INFINITI will donate $10,000 to the Semper Fi Fund in celebration of the "Year of Giving Back." Leading the Boston Marathon runners to the finish line on April 15 will be the 2019 INFINITI QX50 luxury midsize crossover, featuring the world's first production VC-Turbo engine, which provides the power and strength of a sprinter with the efficiency and endurance of a marathon runner. 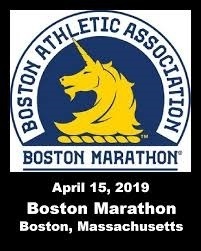 BOSTON March 28, 2019; INFINITI today announced that Dan Lasko, U.S. Marine Corps veteran, will run courtesy of the luxury automaker in the world's premier distance running event, the 123rd annual Boston Athletic Association's (B.A.A.) Boston Marathon. For the second year in a row, INFINITI sponsors the Boston Marathon and the 2019 QX50 luxury midsize crossover will lead runners past the finish line. "INFINITI is proud to again partner with the Boston Athletic Association and Semper Fi Fund for this year's Boston Marathon," said Tedros Mengiste, Regional Vice President, East Region for INFINITI USA. "This event recognizes some of our country's greatest heroes, and we are eager to see one of those heroes, Dan Lasko, cross the finish line." Lasko enlisted in the U.S. Marine Corps on September 11, 2001 and served as a Corporal from 2001 to 2005. Lasko was later deployed with the 22nd Marine Expeditionary Unit in support of Operation Enduring Freedom. On April 24, 2004, Lasko's convoy was ambushed, and his vehicle struck two improvised exploding devices, which ultimately cost him his left leg below the knee. Determined to stay active and not let his injury keep him from his passion for sports, Lasko made a full recovery and went on to complete multiple triathlons and marathons. INFINITI also joins the B.A.A. 's commitment to giving back to the community. This year marks the 30th anniversary of the B.A.A. 's official charity program. As a part of this celebration, INFINITI will donate $10,000 to the Semper Fi Fund and invited local volunteers, U.S. Navy Chief John Morley and Wendy Lethin, Secretary, Board of Directors, Vice President, Community Outreach for Semper Fi Fund, to ride in the INFINITI lead vehicle during the marathon. Through both of their efforts in the Semper Fi Fund, Morley and Lethin bring countless resources to those in the armed forces. The official lead vehicle of this year's Boston Marathon is the 2019 QX50, INFINITI's most advanced vehicle to date and embodies everything INFINITI stands for: beautiful design, advanced technology and empowering performance features. The luxury mid-size crossover features the world's first production-ready variable compression engine, the VC-Turbo, which provides the power and strength of a sprinter with the efficiency and endurance of a marathon runner. It combines the power of a 2.0-liter turbocharged gasoline engine with the torque and efficiency of an advanced four-cylinder diesel engine. Moving seamlessly between compression ratios, the VC-Turbo engine from INFINITI responds to the car's driving conditions and continuously adapts. About the Boston Athletic Association (B.A.A.) Established in 1887, the Boston Athletic Association is a non-profit organization with a mission of promoting a healthy lifestyle through sports, especially running. The B.A.A. 's Boston Marathon is the world's oldest annual marathon, and the organization manages other local events and supports comprehensive charity, youth, and year-round running programs, including high performance athletes and running club. Since 1986, the principal sponsor of the Boston Marathon has been John Hancock. The Boston Marathon is part of the Abbott World Marathon Majors, along with international marathons in Tokyo, London, Berlin, Chicago, and New York City. More than 60,000 runners will participate in B.A.A. events annually. The 123rd Boston Marathon will be held on Monday, April 15, 2019. For more information on the B.A.A., please visit www.baa.org. About INFINITI INFINITI Motor Company Ltd. is headquartered in Hong Kong with representations in markets around the world. The INFINITI brand was launched in 1989. Its range of luxury automobiles is currently built in manufacturing facilities in Japan, North America and China. INFINITI design studios are located in Atsugi-Shi near Yokohama, London, San Diego and Beijing. INFINITI will electrify its entire lineup from 2021 onward. The brand has been widely acclaimed for its daring design and world's first driver-assistance technologies. From the 2016 season, INFINITI is a technical partner of the Renault F1 Team, contributing its expertise in hybrid performance. The 2019 Boston Marathon marks the six-year anniversary of the horrors that took place near the finish line in 2013. Gathering at the starting line to run alongside the bombing victims this year will be 10 Team Semper Fi athletes and 23 Semper Fi Fund Community athletes – the fourth year in a row that our athletes have joined with the victims to stand Boston Strong. Just days after the bombing on April 20th, 2013, a special relationship between the Boston survivors and the Semper Fi Fund began. Wounded veterans visited five hospitals, EMS teams and the injured bringing our message of HOPE and STRENGTH. Gabe Martinez, a double amputee on Team Semper Fi, had flown in from training for the Paralympic Trials. Walking into the hospitals, sporting shorts that showed off his beautiful prosthetic legs, Gabe instantly embodied the joy, excitement about life, and happiness after trauma. Gabe, along with fellow veterans - Cam, BJ, Josh, and Bobby were living proof of post-traumatic growth. Semper Fi Fund Founder Karen Guenther and Vice President of Casework Susan Rocco, alongside our warriors, visited the staff and patients in the ERs, post-operative recovery unit, operating rooms, and ICUs. They brought such a great mixture of humor, strength, inspiration and love to patients, their families, and the hospital staff. This trip would be the first of seven trips in total over the next year to provide mentorship and inspiration to Boston. The Semper Fi Fund provides urgently needed resources and support for post 9/11 injured military members and their families. When the tragic events of the Boston Marathon happened six years ago, members of the Semper Fi Fund quickly volunteered to visit those injured in the bombings, helping both emotionally and financially. This year, the Semper Fi Fund became an official charity of the B.A.A. Over the months that followed restricted donations came into the Semper Fi Fund from across America to support those injured in the bombing. The SFF was able to help families of the bombing victims with lodging, loss of income while at the bedside, service dogs, adaptive equipment… whatever was needed. 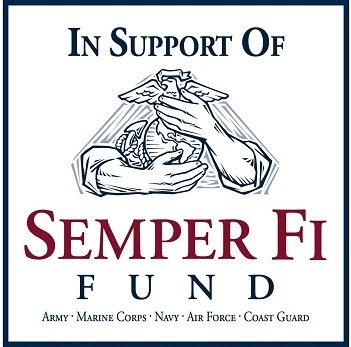 Since that fateful day, the Semper Fi Fund has remained close to its Boston family. Each Marathon Day, the Fund joins Boston in celebrating the strength and resiliency of the community. Staff and veterans alike feel honored and blessed for the relationships that emerged after the bombing, and to stand together Boston Strong.